Gwen Ann Perry, 39, 1520 Madison Ave., Piqua, Ohio died at her residence on Thursday, May 7, 2009 at 5:36 PM of breast cancer. She was born March 3, 1970 in Piqua, Ohio the daughter of Richard Lee Mollman and Linda (Shirk) Thompson. The father died in 1990 and the mother survives in Ada, Ohio along with step-father, Norman Thompson. She was married May 22, 1999 to Israel &quot;Shane&quot; Perry and he survives along with two sons, Mason Wyatt Perry and Michael Jordan Mollman and two sisters, Kimberlie Blue and husband James of Sidney, Ohio and Heather Pence and husband Eric of Piqua, Ohio. 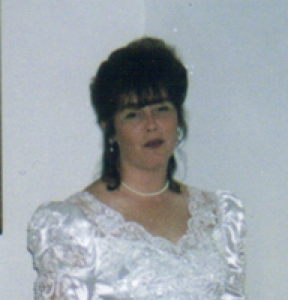 She was a 1988 graduate of Piqua High School in Piqua, Ohio and had studied cosmetology at the JVS school in Piqua. She graduated from the JVS as a licensed practical nurse and had worked at St. Joe&#39;s Treatment Center in Dayton, Ohio at one time. She was a member of the Upper Valley Community Church in Piqua, Ohio. A true celebration of Gwen Perry&#39;s life will be held at Upper Valley Community Church in Piqua, Ohio on Monday, May 11, 2009 at 6:00 PM. In lieu of a traditional visitation and funeral service, Gwen desired that those who knew and loved her come together for a meal to laugh and share memories as they celebrate her joyous homecoming with her Savior and forever friend, Jesus Christ. The celebration will include some treasured scriptures that guided Gwen&#39;s life, memories from those who want to share, music and a potluck meal. Bring your memories and one or two dishes to share and come ready to celebrate what God has already done in Gwen&#39;s life and what He&#39;s doing for her right now in Heaven! Upper Valley Community Church is located at 1400 Seidel Parkway in Piqua, 1/4 mile east of I-75 (exit 83) just off County Rd. 25-A. Memorial contributions may be made to Miami County Hospice, P.O. Box 502, Troy, Ohio 45373. Envelopes will also be available at the church. Salm-McGill and Tangeman Funeral Home in Sidney, Ohio is handling the funeral arrangements.